Profile of 6,99mt with a remarkably wide garage to house luggage and a scooter. 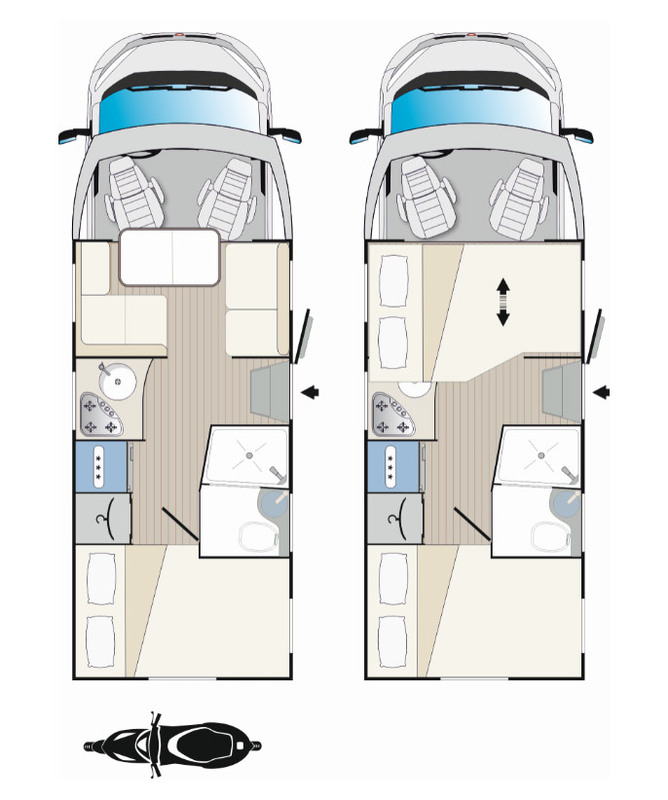 It has an always ready double bed and, thanks to the dinette conversion and a drop-down double bed, it is a 5 people fully type-tested vehicle. The wide kitchenette and the spacious dinette offer a very pleasant living.